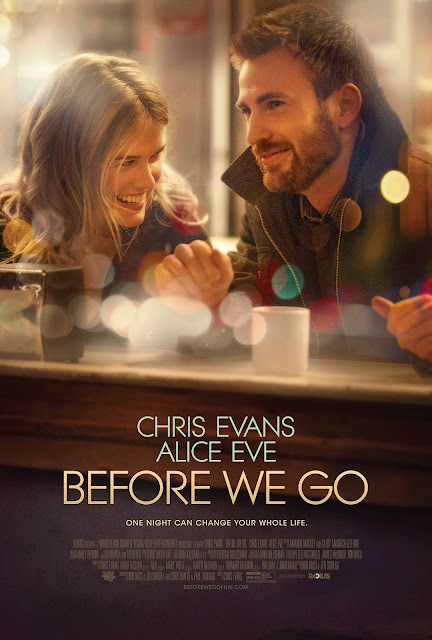 Ladies get ready because Chris Evans is back in a new drama movie "Before We go". This time he is not a superhero in Captain America or Fantastic Four but a hopeless romantic who is not giving up on love. Brooke (Alice Eve) bumps into a beautiful stranger Nick (Chris Evans) in New York City Grand Central Terminal after she misses her train and her bag got stolen. Nick decides to become her hero by helping her in getting back home before her husband arrives. The movie is surprising because half of the movie passes till we know what is going on in Nick and Brooke's personal life. Chris Evans is not only starring in this movie but also he makes his directional debut and he did a good job and it's sure that his next movie will be of a higher level. Chris Evans role made a big push to the movie because Alice Eve was not as charming and passionate in acting as Chris.